Just tested this guy out and hes really nice, good job, a really good beta. -Only did the headbutt for now for the EX Sadomaso, but I'll definitely think about it. Yeah, still stumped on Spray Sand too. -Fixed that, and I might change it a bit after seeing Soy Sauce's version of it, but we'll see. -The problem is that I don't have the sprites for Freak-Out Fist (there is actually a sprite sheet for it, but I'm not going to CS it myself since sleeves and the neck are still on my to do-list), so I'm gonna hold on that, and probably go for the normal Drill that most others use. Hey, I'm just doing the sleeves and neck. Thank Moon Girard for the rest of it. But I thank you for the kind words. -Don't have the sprites for it, as mentioned before. -It's actually there. I got the code for it from Jmorphman's Rolento and works great. It is a bit buggy though, since it can't be done killing from his projectiles, and EX Sadomaso for some reason. Hold start if you don't want to go RNG with it. -I have it, I just haven't made it the one yet. I also did notice it was missing some sprites just when he goes into it, but it was there when I got it, so I'll probably let it slide. Thank you. Hope that the release will be good when he's done. 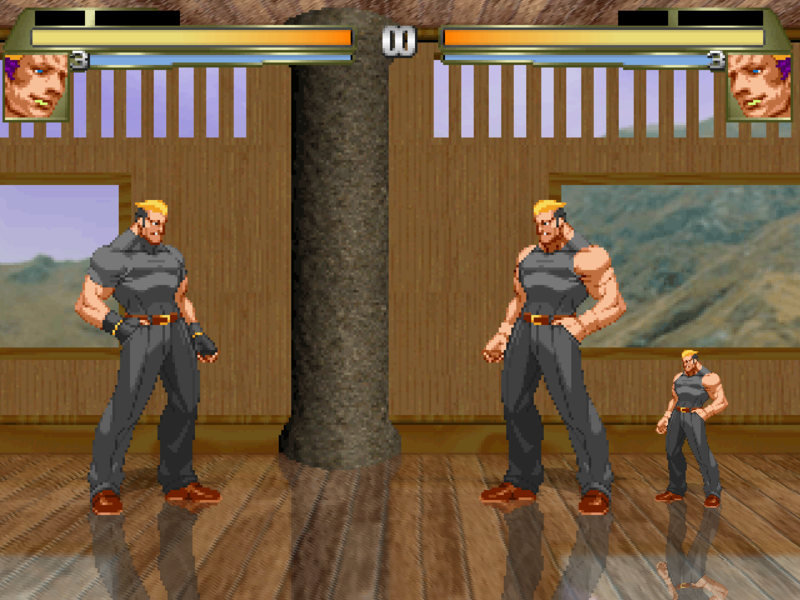 You probably know about it but still worth posting just in case, I think the CMD for Benimaru's level 3 is still in the command file I manged to do it and Yamazaki spawned a small clone. Im actually not sure what happened but I heard Benimaru's voice so im just gonna assume its that cause Yamazaki is not completed yet. Yup, you assume right. I forgot about that at the time. I've already gotten rid of that one. Anyways, arms are finally done! I want to fix the neck though, so that'll probably take not as much time. Just wanted to let you guys know. No need, Yamazaki just has to be added to a trigger that makes Chun-Li wait long enough for his side of the intro to finish. Why I say "state" instead of "trigger" is because Chun-Li's intro takes Yamazaki by warusaki3 into account (in this case, cvsyamazaki), so unless that trigger is cleared off, she'll always cut the intro to 40 seconds ahead instead of her 230 seconds. I remember you opening a thread about some art of Yamazaki, I just found an old render I edited on my HDD. Imma drop a link for it. You mean the one where he wanted a hyper portrait? He addressed that he needed Yamazaki art with short sleeves (CVS, RBFF, KOF2003 and XIV). 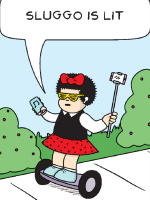 I meant for the big portrait (like when you select a character). But any offers for hyper portraits are more than welcome. 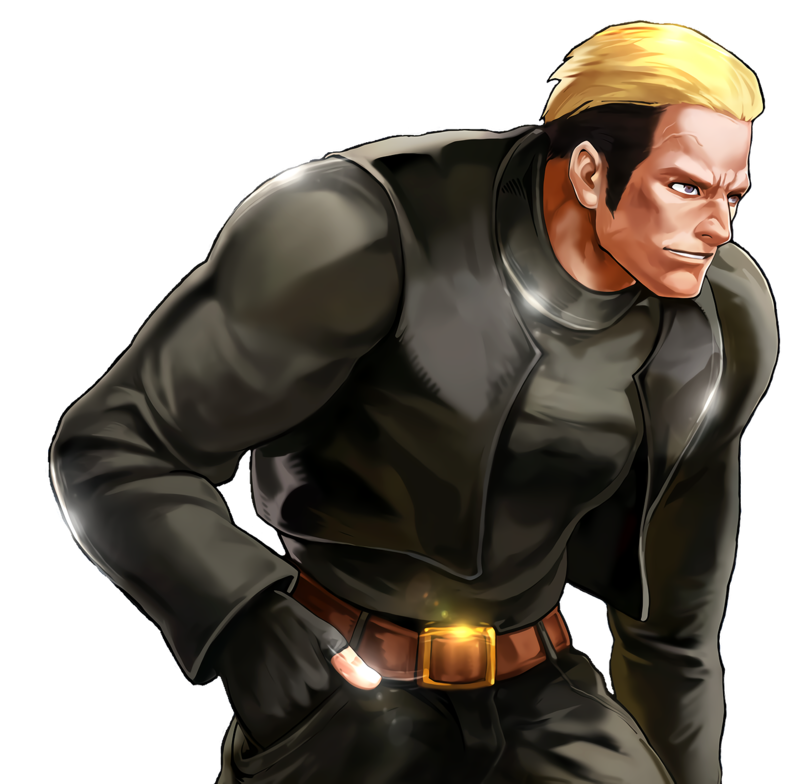 Welp, I have not done a level 3 port in years but the only art of Yamazaki worth using that I can find with the short sleeves is this. I made a quick render out of it and change the coloring around to give him a bit more depth. This should look clear on the level 3 port not blurry or pixelated. If anyone wants to use this for a level 3 go ahead. Thanks for that, mate. I'll probably use it. Anyway, Wani_shimamura released Yamazaki with sprite edits to make him with a good shirt. So, for experiment purposes, I combined his with mine, and the result looks really good. Would I continue this process? It's a possibility, but I don't know if Wani would be okay with it. I'd give the credit for the new stuff for him, and the CS for Moon Girard if that would be the case. I have tried, but apparently, I can't do it for some reason. Just credit the dude, that should be enough. Sorry for the Double post but I wanted to ask you something. I know the EX triple punch puts them in place but when picking and choosing your time with a heavy char to punish it seems iffy that the juggle is like that. is the problem that the super dont fully juggles them in the air? Regardless if its in the air or not, you are getting punished for having timing and pressing the right buttons. Granted I am not a Raiden Guru or anything its just a question I wanted to ask. If I used the EX version of the double punch It would have connected properly but still it just feels off to me as it is. I dont count on it though cause if you mash hes gonna cancel the first fist hit mid animation and go straight for the headsmash. That's a ME thing though. Im not sure but I believe you can also go for the breath hyper after the headsmash and it will connect. To be fair, I didn't know how to approach the headbutt, unique-wise, so to speak, since CvS has it either you get the headbutt, or you get the throw, since there's not much material to work with for him (the only other games are Fatal Fury and KoF XIII, and he's remade without that attack). I know you can do the Raiden Bomber/Flame Breath since it'll keep them in place, but I get what you mean by that. Maybe if I get around to update Raiden, I'll make it different, like I did with Yamazaki's knife attack. Speaking of Yamazaki, here's a preview of what the new neck part will look like. I've finished up to the crouching punches, and I hope at the very least will get the new template done in order soon.